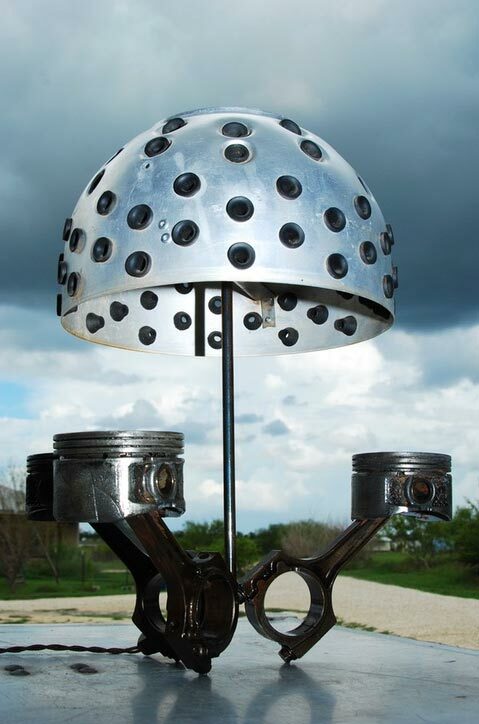 Meet Jay Dean, a former mechanic and dirt biker, now an industrial artist living in Central Texas. Growing up, Jay never dreamed he would become an artist. A back injury in his early 30's led to multiple surgeries, and he found himself unable to do what he loved and unable to provide for himself and his wife. 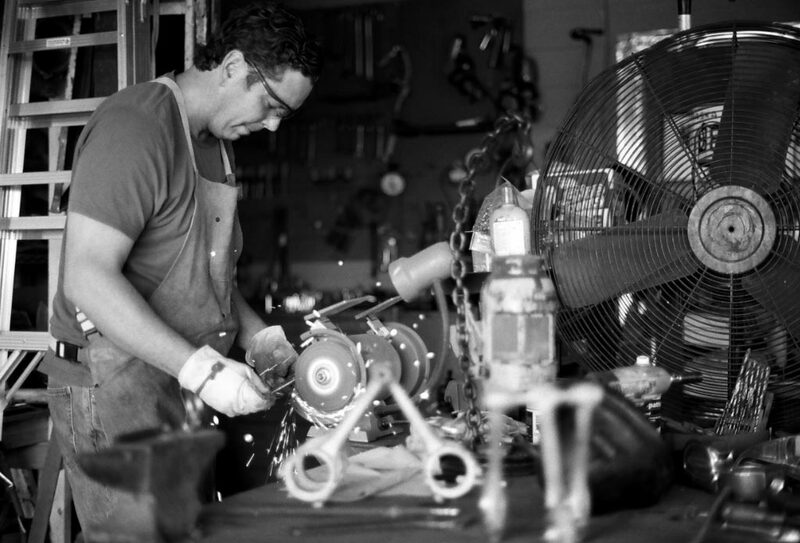 One day, as he was cleaning his tools, he suddenly began to see something in the junked auto parts in his garage. He had an artistic inspiration, and began to turn that junk into art. Thanks to technology he now has two spinal cord stimulators which enable him to work a few hours each day on his art. 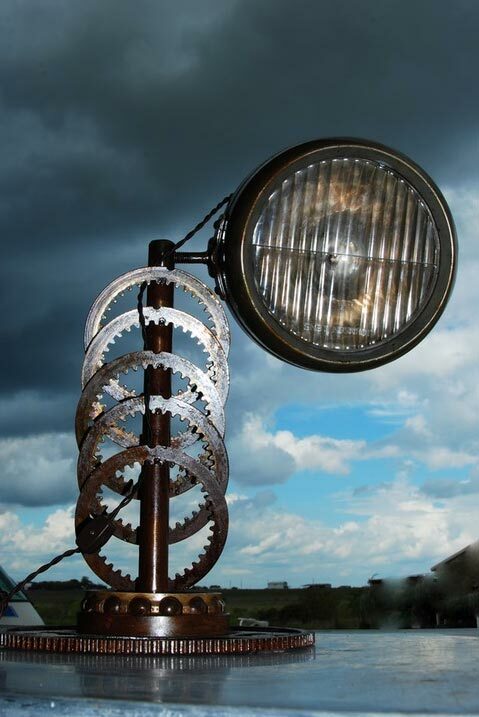 All his lamps are made from either automotive, aircraft or small engines. Check out his cool creations at www.jaysindustriallamps.com.